The TS-812 is a Delegate unit that can be connected to the conference system by a cable. 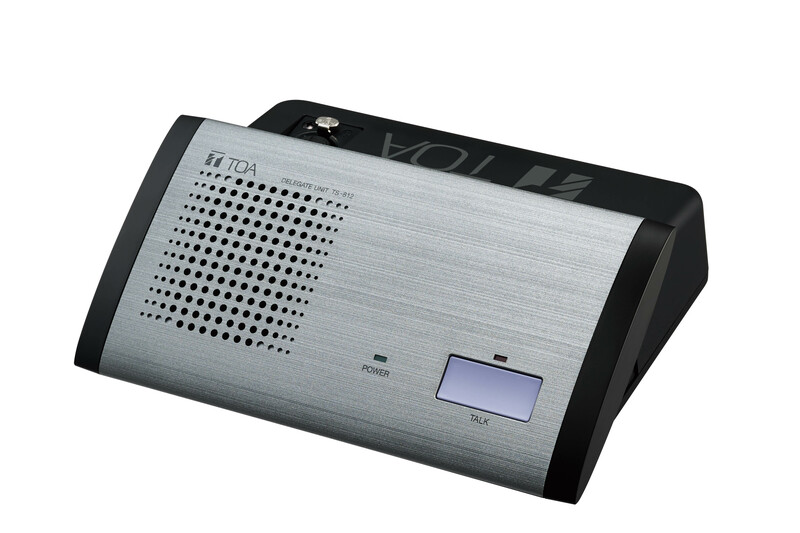 It is equipped with a priority switch, allowing speech to take precedence over the Delegate unit. The TS-812 is directly connected to the TS-919B1 or TS-919B4 Bridge unit, then to the TS- 910 Central unit via the TS-918 Expansion unit. Either the standard “type or long type can be selected for the microphone.